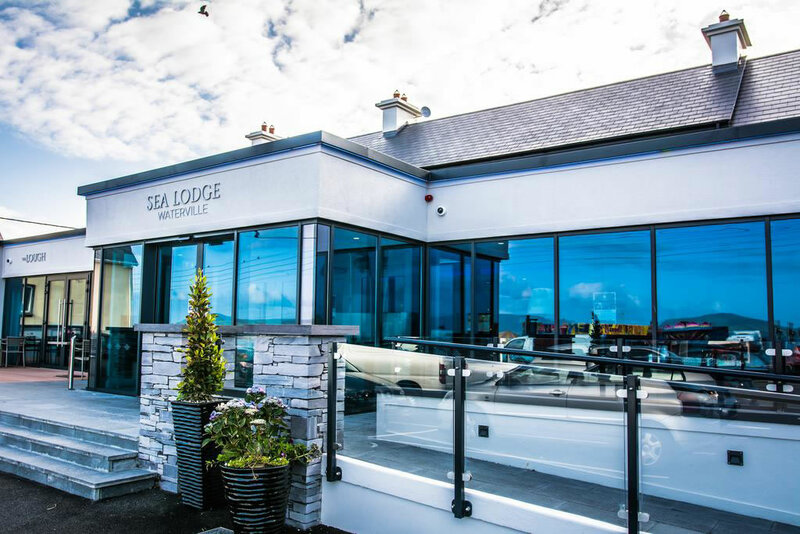 Sea Lodge Waterville Hotel Kerry is one of Waterville’s newest hotels. 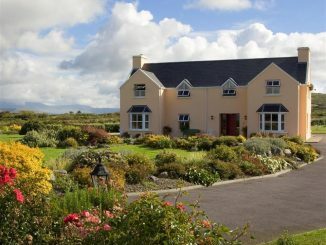 It is in a beautiful location with fantastic views of the seafront and ocean. 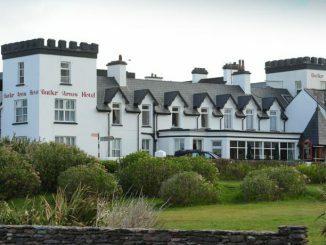 This hotel is only a 5-minute walk from the beach and has a garden and a terrace for the enjoyment of guests. This hotel is fresh an modern and is very tastefully decorated with modern furnishings and has a very bright and comforting feel about it. 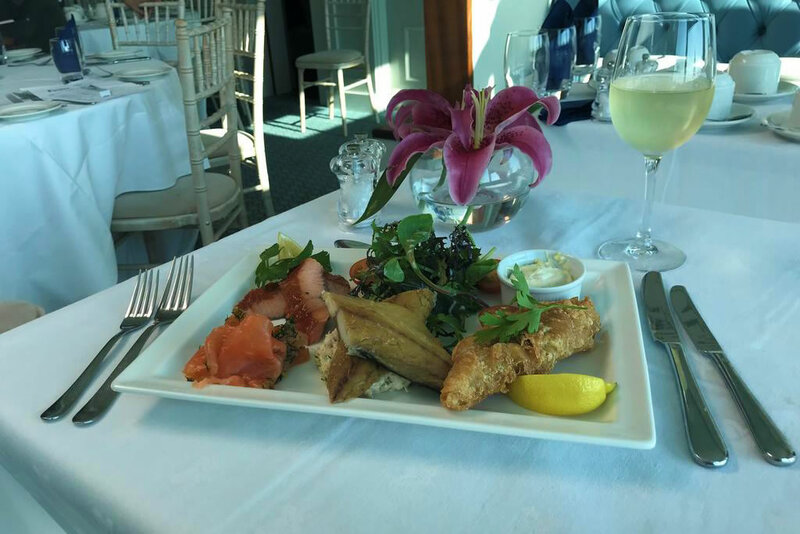 Sea Lodge has an excellent restaurant and bar and free WiFi and free on-site parking is available. 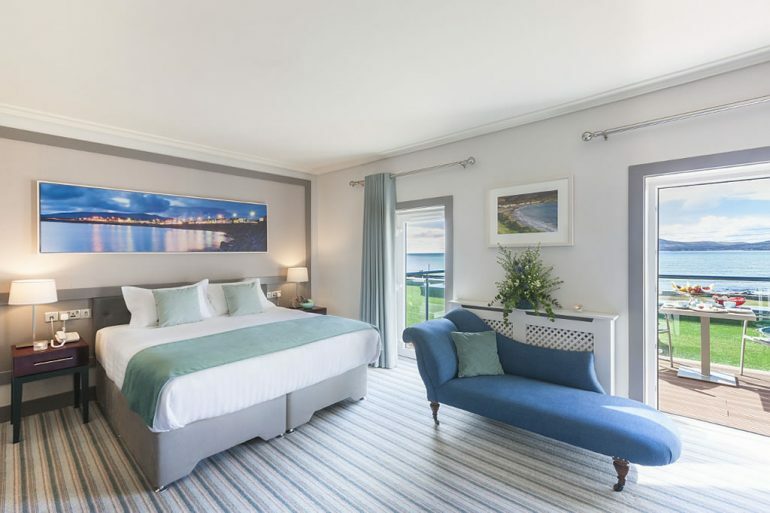 The rooms at Sea Lodge Waterville have a desk, a flat-screen TV, a Nespresso coffee machine and all are en suite with power showers and free toiletries. 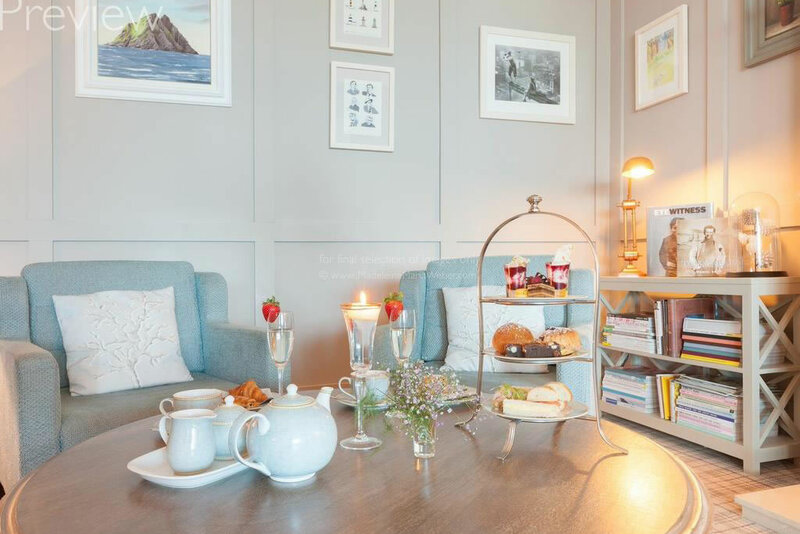 Each room is decorated with a nautical theme and has a beautiful print by local artist Madeleine Maria Weber. 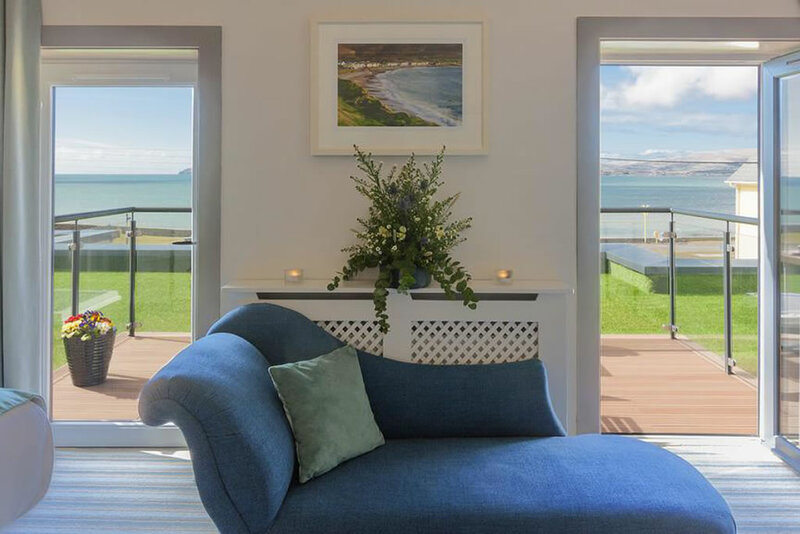 Some of the rooms have balconies with stunning views of the sea and Ballinskelligs Bay. Standard Double Room, Standard Twin Room, Double Room with Balcony, Family Room with Balcony. Breakfast at Sea Lodge is a most enjoyable experience, withcontinental and à la carte options on offer. 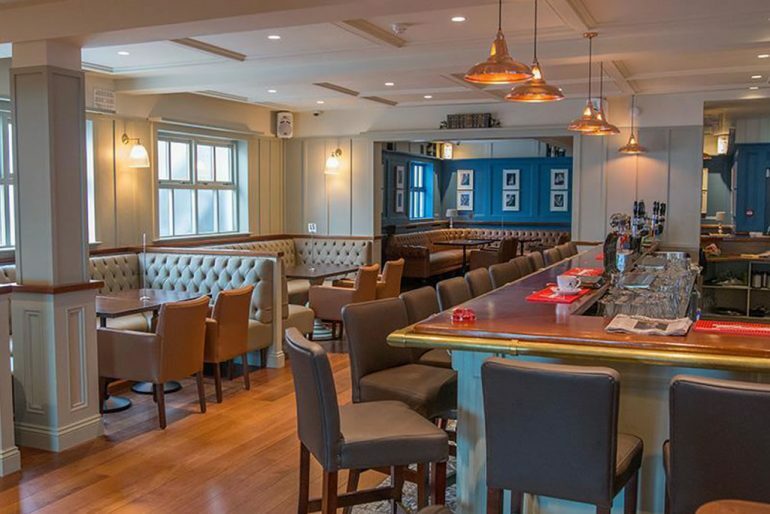 The restaurant at this hotel is gaining a reputation for serving fine dishes made from the best local ingredients including Kerry lamb and fresh fish from nearby Portmagee. The bar and dining room serves a variety fine wines, craft beers, whiskies, great coffee and lots more. Classic Afternoon Tea is served in the library – lots of teas (including Barry’s Tea) and coffees and treats available. 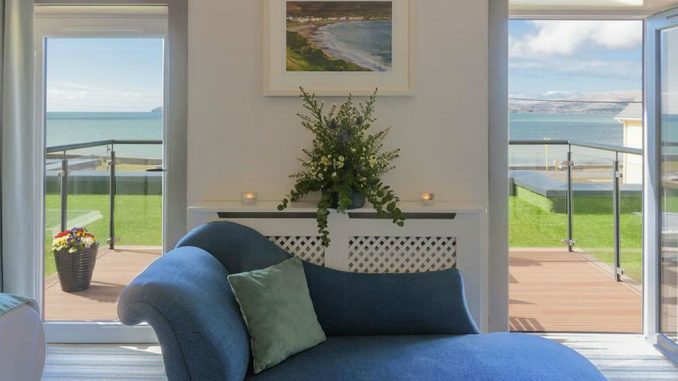 Sea Lodge is a popular venue for weddings and their dedicated team can plan and cater for up to 240 guests. The spectacular scenery is a perfect backdrop for wedding photography.